MIAMI GARDENS, Fla. -- Two lightning delays, a melee, two kickoff returns for touchdowns, injuries to key players, and a game that took over seven hours to play, making it the longest game in NFL history. A number of Titans expressed disappointment – and disgust – after a long day. The official game time was 7 hours, and eight minutes. The Titans defense got a huge stop just before halftime, after the Dolphins went for it on 4th and 1 from the Tennessee 15. With linebacker Brian Orakpo in coverage, Tannehill’s pass to running back Kenyan Drake was ruled incomplete on the sideline, as Drake managed to get just one foot inbounds. Mariota was hit away from the play by Dolphins defensive lineman William Hayes, which forced him to leave the game for a play with an elbow/shoulder injury, Vrabel said. Back-up quarterback Blaine Gabbert played one snap – he threw an incomplete pass on third down -- before Mariota returned to the game the following drive. 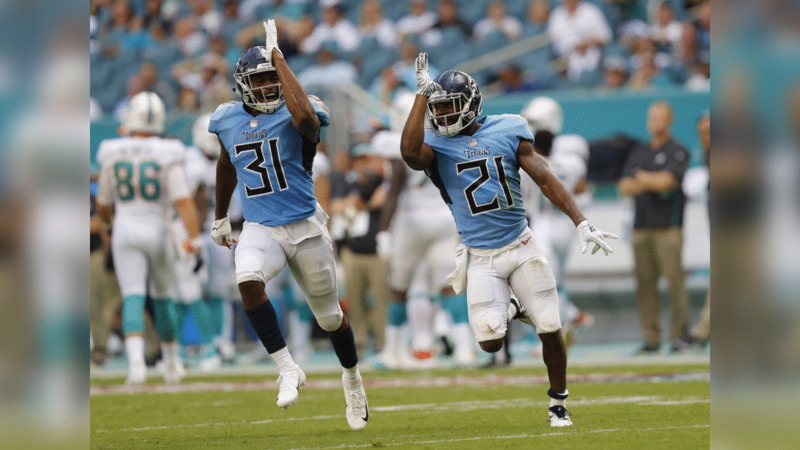 When he returned, Mariota was intercepted on his next pass by Dolphins safety Reshad Jones, and what ensued next was a wild scene that included players from both teams pushing and shoving on the field, a brawl sparked when Dolphins defensive end Andre Branch leveled Lewan with a crack back block in front of the Tennessee bench. Two Dolphins were penalized in the fracas, along with Titans running back Dion Lewis.  Lewan never returned after the hit. It looked as if the Dolphins would add to the lead after that after having a first-and-goal at the Titans seven-yard line. But Titans cornerback Malcolm Butler stepped up with a big play, intercepting Tannehill in the end zone. Butler returned the interception to the Tennessee 35. “I just couldn’t feel my fingers, couldn’t feel my hand,” Mariota said after the game. “It was one of those things where I couldn’t grip the ball and all that stuff. Disaster struck on the ensuing kickoff after Tennessee’s touchdown, as Dolphins return man Jakeem Grant went 102 yards for a touchdown to give Miami a 17-10 lead with 14:04 left in the contest. The Dolphins then struck again, scoring on a 75-yard touchdown pass from Tannehill to Stills, which made it 24-10 with 10:22 left in the contest. Still got behind Butler on the play, and he raced to the end zone after making the catch. 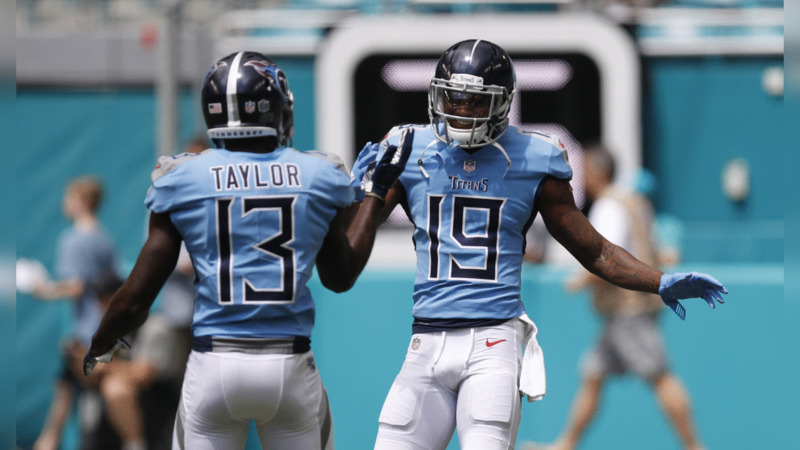 Walker was injured late, and the Titans made it 27-20 on Succop’s 53-yard field goal late. The Titans failed to recover the on-sides kick, and the Dolphins won. “It is tough,” Titans linebacker Wesley Woodyard said. “You want to win every one, and obviously there’s only been one undefeated team. But I have been in seasons when we won the first game (and had a losing season).